The Spider-Man director says he's no longer a part of the oft-delayed World of Warcraft film. 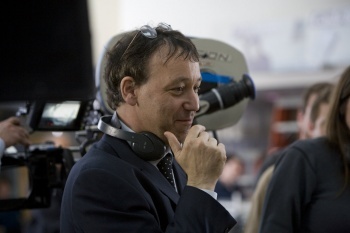 In 2009, Spider-Man director Sam Raimi announced that he'd signed on to direct a movie based on Blizzard's World of Warcraft universe. In 2010, he talked about how much he loved the game and how excited he was to be attached to the project, although a few months later he shuffled the film down his priority list a bit to make room for a big-time Wizard of Oz remake. Not much happened in 2011. But now, in 2012, the news has turned sour: Raimi has rather abruptly revealed that he is no longer involved with the project. He wasn't what you'd call forthcoming with details, but it sounds like the wheels came off due to a simple scheduling conflict. "Actually, they don't have me directing World of Warcraft anymore because when I took the Oz job, they had to move on to another director," Raimi told Crave Online following his Oz: The Great and Powerful press conference at Comic Con. "They had to start making it." There's no word on who might replace him, as this is apparently the first indication that Raimi isn't still on the job, but there's no questioning the veracity of the statement either, since it came from the man himself. It's an unfortunate loss - Raimi has an undeniably deft hand - and it just won't be the same without Bruce and Ted, but on the upside, it's nice to hear, even indirectly, that the wheels are still turning.